This mainly happens with users who tend to leave their computer turned ON most of the time. Chances are there may occur a Windows configuration issue, a program uses too much of the system’s resources, or your PC gets overheated. Whatever be the reason, you’d not like to see any sluggishness popping up while you have a lot to do on your PC. The wisest and best first step in this scenario will be to restart your PC. Nonetheless, the issue persists, you should continue troubleshooting. It’s natural for computer users to try various programs and apps on their PC, thanks to the Windows’ amazing software store. However, this can be troublesome as you’ll have too many programs running simultaneously when your PC boots. What you can do in this situation is to disable the startup programs you don’t find necessary. To disable these programs, Windows 8 and 10 users can use CTRL + ALT + DEL > Task Manager > Startup. Next, right-click on the programs and apps you don’t find necessary and click Disable. On Windows 7 and earlier, click on Start Button and search for SystemConfiguration. Now, open Startup Tab and uncheck all those programs that you don’t want to load at your PC’s booting up. Doing so will certainly help you increase PC performance. Having malicious programs on your system can cause great harm. For those who don’t know what a malware is; it is any “malicious software” that is designed to get illegal access to the system and harm its performance invading the owner’s privacy. Removing malware will speed up the slow computer. Before you run a malware scan, it’s better if you start your PC in Safe Mode. To do so, restart your PC and hold the F8 key while it is starting up. Select the Safe Mode option using arrow keys and press Enter. Once your desktop shows up, you can start a malware scan. There are many free anti-malware programs available which you can use to spot and erase malware from your computer. If your PC has gradually been slowing down, it is perhaps your hard drive is maxed out. In order to function properly, hard drives require some free space. Thankfully, cleaning hard drives does not call for a professional knowledge so you can easily perform it. Click Properties and go to General tab. Now, click the Disk Cleanup button. Besides, optimize Mac performance by deleting unnecessary heavy files, like videos, music tracks, and movies, etc. from your Mac to speed it up. 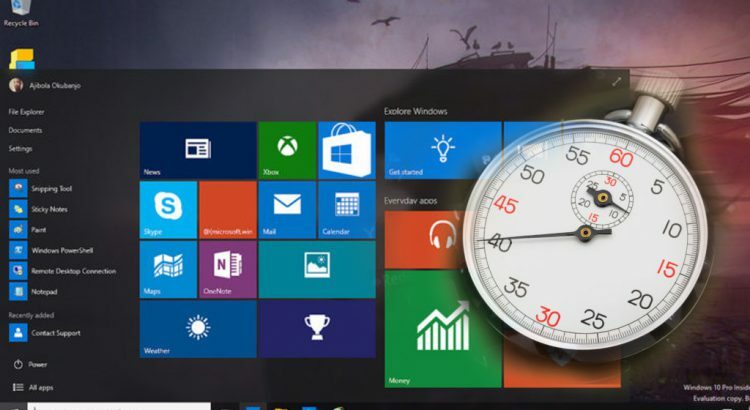 Troubleshoot and fix your PC’s slow speed by running some scans in the Command Prompt. Now, hit on the Start button and type cmd in the search field. Next, right-click cmd.exe and then choose Run As Administrator option. Run your first scan. To do this, type sfc /scannow in the field. This scan fixes system corruption issues. Once done, run your second scan to check your hard drive for errors. Type ckhdsk /r /f and then type Y on the next prompt. The scan will not start immediately; you’ll have to restart your PC to run it. These scans should solve most of your PC’s speed issues. If that sounds like a heavy task, you can use a smart software to handle all these system scans and optimization tasks to speed up your computer. For Windows users, PC Optimizer Pro is a good option. There’s also a Mac variant of PC Optimizer Pro dubbed Mac Optimizer Pro, the best free Mac cleaner to speed up Mac.